Vigilant.IT rewarded yet another Microsoft Most Valuable Professional (MVP)! Talk about ‘it’s been a while since I’ve last posted…’ just see my last post here on VITBlurb. Vigilant.IT rewarded another Microsoft MVP – 2 in as many cycles! I’m back again to announce (albeit several months after the fact) that we, Vigilant.IT have yet another, Microsoft MVP within our team. Although we dipped down to 2 for a short time, we have brought that count back to 3 with Daniel Apps joining this prestegious line up. So… who are our Microsoft Most Valuable Professionals? Also known as ‘Steph’, ‘Budo’, ‘Our in house Dev!’, Steph holds his MVP award, 2 years in a row, within the ‘Microsoft Azure’ category. Budo is one of the two directors here at Vigilant.IT. Someone who is very, very passionate about the IT dev space, Stephane leads the development /engineering team, continuously building Microsoft solutions for many of our new /existing enterprise clients. Steph has developed an indepth timesheet solution that we use (internally) which integrates Microsoft’s System Center Service Manager to our custom time and billing application. Everyone knows how much of a pain timesheet is, however Steph’s solution has allowed us as technicians to focus on what we do best, solve technical problems and do very little admin work noting down the work we did. The granularity of information captured is an accountant or business owners dream (the finer details)! Steph also started hosts an Azure Meetup here on Sydney’s lower north shore. Also known as ‘Steveo’, ‘Hosko’, Steveo too is part of the development /engineering team here at Vigilant.IT. Steveo holds his MVP award within the ‘Enterprise Mobility’ category. Steveo has just returned (at the time of writing) from a trip over to America, to present at the Midwest Management Summit 2018 in Minnesota. If he’s not working on a System Centre or Intune solution for a client, we generally find Steveo out at a conference on the other side of the world, presenting on all things Microsoft (well, System Centre, Intune and anything else that Microsoft need him for). Steveo too has his own Meetup, being one of the founders of the Sydney System Centre and Infrastructure Group here in Sydney. A common theme you see with MVPs, and also one of their requirements – to help educate and empower the community on Microsoft soultions, products and services. Also known as ‘Apps’, ‘Dan’, ‘The sh*t stirer in the office’, and the most recent to receive their Microsoft Most Valuable Professional award, within the ‘Cloud and Datacenter Management’ category, Dan is somewhat of a unique character, in a good way. Borderline overzellous with anything other than IT, giving opinions on all things cricket or the general news, when it comes to the achievements and continous solutions he develops for all our new, existing clients, he is known to be humble and quiet about these sorts of things. As an example, his MVP announcement earlier this year. We had to see /hear it on Twitter before the team here knew! Someone new to the social media /twitter scene, you can find Dan giving out good value to those who follow him and to see how good /quick wit he is with anything and everything (mostly Microsoft related topics). Dan too (like the other two) continuously gives to the community via his blog as well as conferences he attends, both presenting or being part of the crowd. So there you have it. A company that consists of 20 odd employees, and with only 3,500 Microsoft MVPs worldwide, we have within our ranks 3 recognised Microsoft Professionals. For a company our size, it is unheard of and I hope that this article just shows the technicial prowess we have /hold within our company. This is something to be proud of, as a company but as a fellow colleague. 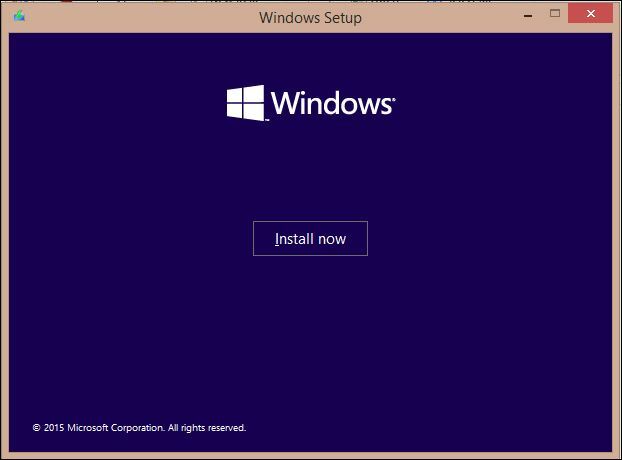 Windows 10 sneaks its way onto your PC! Windows 10 as we are aware will release to selected Windows 7 and Windows 8.1 devices from Wednesday evening (here in Australia) or Wednesday morning in the States (and everywhere else that is behind us!). 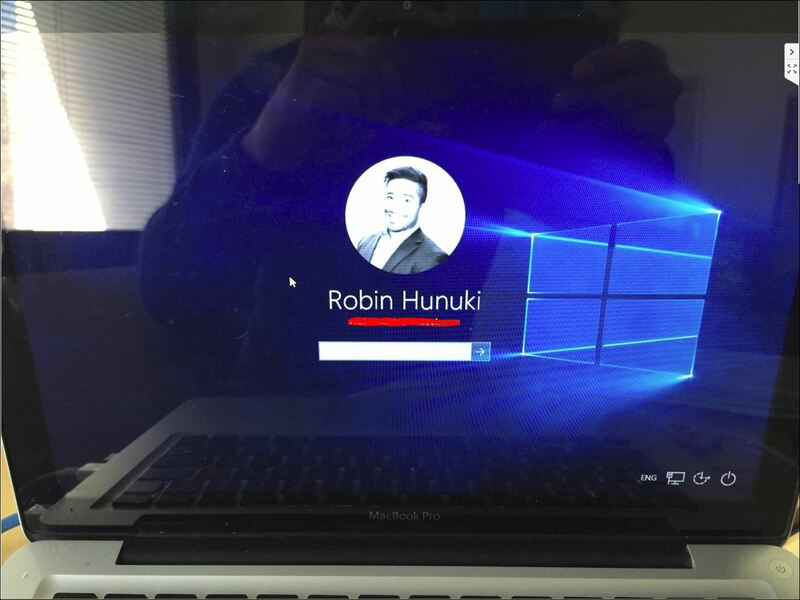 Normally for me, I’d already have Windows 10 installed on my MacBook when first released to the public (beta edition) but I thought, for this particular release, I’ll wait, be patient and get it like everyone when Microsoft officially release it. 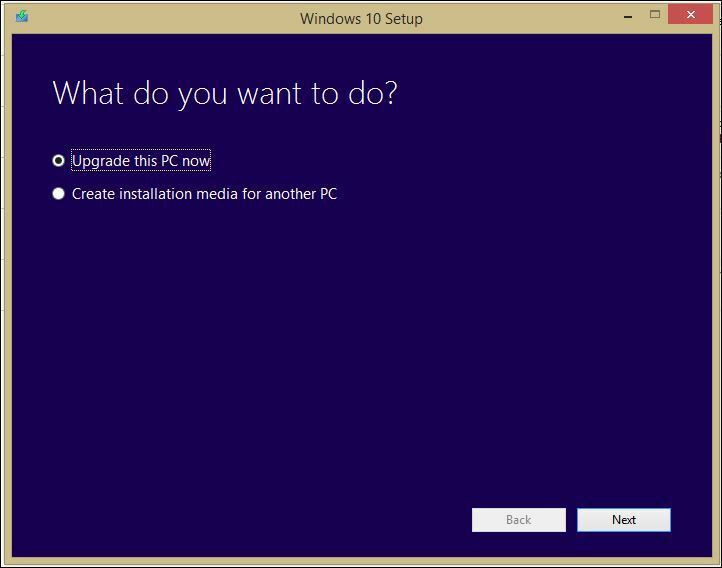 Knowing that Windows 10 isn’t officially available and as well having known that the installation files already exist on my PC, I was always going to give that setup executable a try! I then do a quick search within that directory.. nothing! 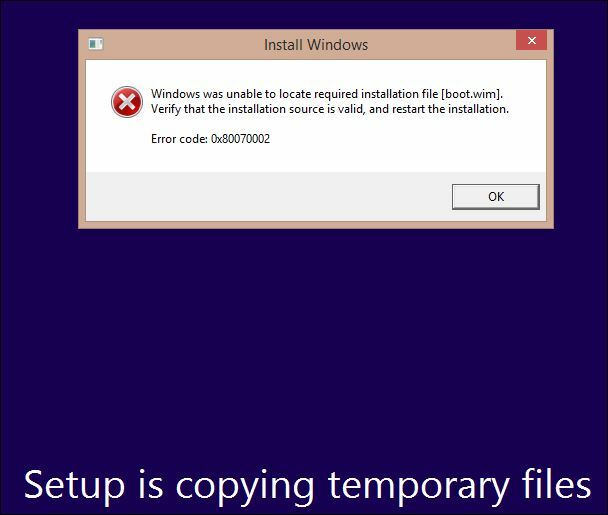 Obviously the boot.wim file (along with whatever else they’ve decided NOT to download as well) was deliberate, done on purpose to stop people (like myself!) 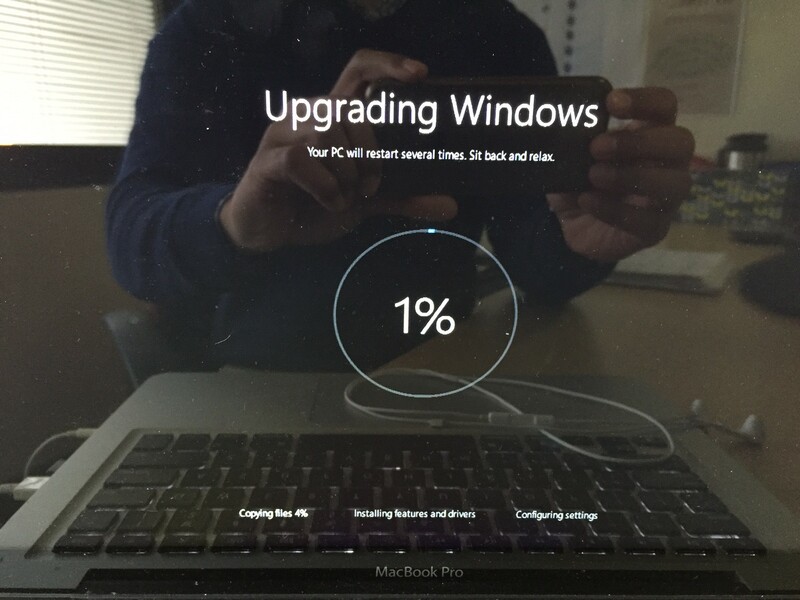 initiating the installation/upgrade of their PCs (prior to the official release date). 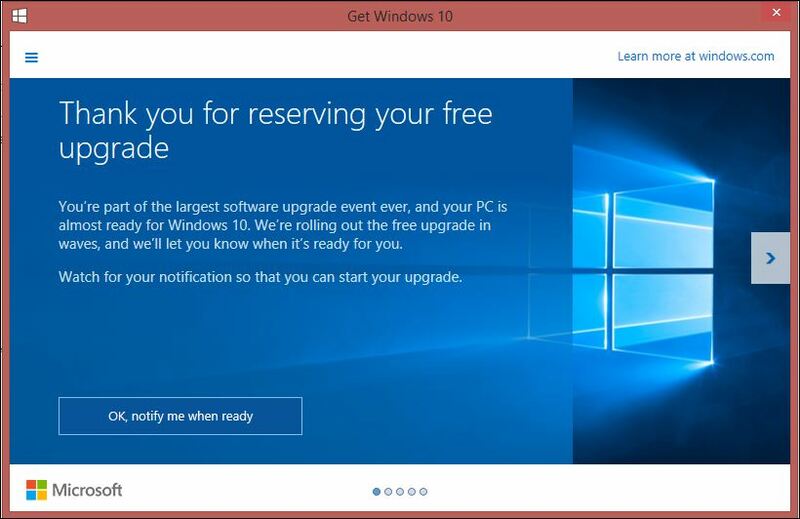 There are reports that even though you’ve ‘reserved’ your copy of Windows 10, it could be weeks where you will see the ‘upgrade now’ window appear. Hopefully for me it won’t be too long and that it will download overnight (at the time of publishing it is 9.30pm on Wednesday 29th of July 2015) – it’s as if it is Christmas Eve and that I’m eagerly anticipating Christmas Day to open my presents (in this case, Windows 10 release). We’ll see how it goes when I get up tomorrow morning!